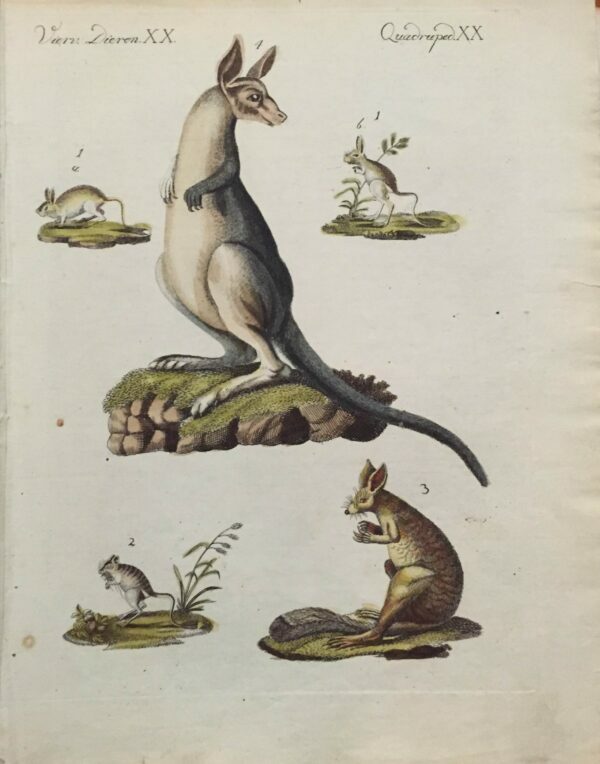 Tags: Animal, Antique Print, Kangaroo. Antique print of various mammals/jumping mammals. This rare Dutch print is most likely made after the German book ‘Bilderbuch für Kinder’ by F.J. Bertuch. Published c. 1800.